In a video message released to the media on February 3, Tehrik-e-Taliban Pakistan spokesperson Ehsanullah Ehsan has offered to hold talks with the government if, to start with, Pakistan released seven of their leaders. The message also names three Pakistani politicians, including the PML-N chief Nawaz Sharif, to act as guarantors. After more than a decade since the international community led by the US forces zeroed in on Afghanistan in search of perpetrators of 9/11, the country remains far from stability and peace. Now, the announcement of US President Barack Obama that the US troops will start leaving Afghanistan this year may mean a different thing to different people. The leadership of the Awami National Party (ANP) has welcomed the offer of peace talks by the Pakistani Taliban led by Hakimullah Mehsud with the government. At the same time, they would not like the militants to stage a comeback and take people hostage on gunpoint, after the signing of peace agreement. Is Nawaz’s support to the TTP’s talks offer a political move to present himself as a man of peace? PML-N President Mian Nawaz Sharif’s endorsement of talks with the Tehrik-e-Taliban Pakistan fully fits the militant-friendly profile of a traditional right-wing politician who owes his rise in politics to a “devout dictator” and has long been accused of being soft on the Taliban despite the grave threat they pose to the Pakistani state and society. The offers of talks from the perpetrators of violence are coming in quick succession, it seems, and with preconditions that suit them. The last one came less than two months ago. The response from the political stakeholders, as perhaps desired by those making the offer, is divided; and justifiably so. Two things are clear. One, the militants are not exhausted, militarily speaking, and still quite capable of inflicting harm on the Pakistani state both at the vulnerable spots as well as where it hurts the most. Two, they have perhaps lost a fair amount of ideological support among the people, especially after the attack on Malala Yusufzai, the murder of Bashir Bilour and the attacks on polio workers and security personnel. Sitting beside Adnan Rashid, the prime convict in the attempt to kill Pervez Musharraf, freed by TTP fighters during the Bannu Jail break in July 2012, Ehsan blamed the Pakistani government for not having taken the previous offer seriously. He also expressed lack of confidence in the Pakistan military leadership. “We do not trust the army; it has always broken past agreements, even those we made with the politicians,” he said. Earlier, in December last year, Hakimullah Mehsud, the TTP chief, had said his group was ready for talks but his men would not give up their arms. Questions are being raised on the timing, purpose and seriousness of TTP towards peace talks. The foremost among these questions is the compulsion for TTP to initiate talks at this point in time. It may not have weakened militarily but the TTP is certainly losing its ideological support among the general population especially after the attack on Malala Yusufzai, the killing of Bashir Bilour, and attacks on polio workers, including women besides beheadings of 24 security officials in December last year. The timing of the offer is important. The general election is approaching and holding it in a peaceful environment is a major challenge for all stakeholders. The caretaker government would not be in a position to initiate the peace process. Timing is also important as the TTP had made the offer a few days after the ANP decided to hold an all parties’ conference on terrorism. By this move, the TTP has tried to elevate the political status of its sympathisers. Nawaz Sharif has already asked the government to start the peace talks as soon as possible but, at the same time, he has denied becoming a guarantor during the talks. From the Afghan Taliban’s point of view, it is a good time to offer peace talks — to exploit the situation in Afghanistan. But those who have been involved in the peace talks in the past and are aware of the tribal culture say the way TTP offered talks itself shows that it is not serious. Pakistan government’s response so far is ambivalent. It does not want to appear weaker by accepting the offer nor does it want its opponents to get political mileage on this issue. Interior Minister Rehman Malik has given three different policy statements on the issue. First, he accepted the offer, then termed it a crude joke, and finally said that government would start peace process after the TTP stops violence. Apparently, the government is waiting for the military to take a lead which is not saying anything publicly. The4 issue is under discussion for sure as the corps commanders meeting was held on February 14, the same day that the ANP’s APC started in Islamabad. The United States also has a stake in the process as the TTP is the supporter of al-Qaeda and Haqqani network in Pakistani tribal areas. The most important question is: whether the peace process started this time would lead to durable peace or would it be a non-starter once again. Chitan notes the appointment of KPK governor from tribal areas is also part of the present government’s effort to empower people from this area. “But the government will not start talking to the TTP unless it accepts the writ of the state and the constitution of Pakistan. The decision about the peace process will be taken by all political forces with consultation. The military would also be taken into confidence,” he says. The military leadership says it is not against the peace process but a bunch of terrorists cannot dictate the nation. “At present, the Taliban are trapped in two pockets of North Waziristan and Tirah Valley. They are immensely under pressure in Tirah and fear they would soon lose it,” says a senior military official while talking to TNS on condition of anonymity. “It was a fundamental part of all the peace deals that foreigners would be expelled and they would not run a parallel government. But, they never respected these clauses. If they are really serious why did they not talk about ceasefire and show repentance on killing 40,000 of their brothers in Pakistan, including 5000 soldiers?” he asks. The official says that the TTP wants to create confusion among political forces. What needs to be seen, he says, is that the offer is not another effort to buy time and take a breather. While the Afghan Taliban may be looking at it as an opportunity to stage a comeback, regional players like the governments of Afghanistan and Pakistan are not amused. The trilateral meeting in London between UK Prime Minister David Cameron and heads of Afghanistan and Pakistan can be seen in this context. This is because the situation on the ground does not present a favourable picture for the US or Afghan forces. The show of defiance by the Taliban in attacking US and Afghan forces’ military posts recently is one indication. At the time of writing these lines, one news report says a Nato air strike killed 10 Afghan civilians, including five children in Kunar province. Earlier, Taliban had attacked Prince Harry’s Afghan base destroying hundreds of millions of pounds’ worth of American aircraft and military equipment. In the midst of this, President Obama’s announcement of 34,000 troops withdrawal from Afghanistan year and that the war in Afghanistan would be over by the end of 2014 has raised concerns about the future of a fragile state. In what appears to be an untimely withdrawal at the moment “after a decade of grinding war” in President Obama’s words, what lies in store for the Afghan government and military forces is an important question. President Obama may have won a standing ovation from US lawmakers at his State of the Union Address over mentioning the withdrawal, but the decision does not take into account the ground realities and timing of the announcement itself — Spring Offensive is just round the corner. For now, a timetable is being finalized for the remaining troops to train Afghan soldiers and to conduct counterterrorism missions. The decision will halve the size of the 66,000 thousand US forces in Afghanistan before the final withdrawal. To President Obama, the US “will complete its mission in Afghanistan” as he claimed to have defeated “the core of Al Qaeda” since 2001 when the US-led invasion of Afghanistan toppled the Taliban government. The developments seem to be in contrast with the US claims that Washington remains committed to a long-term strategic partnership with Afghanistan and that talks on a bilateral security agreement were still taking place. There are about 352,000 Afghan security forces. In the next two years, Nato plans not to lead combat operations and will only provide support to the Afghan soldiers. It has not been a good start either despite the international efforts in military and monetary terms. Since the Bonn Agreement in December 2001, the first in the series of agreements intended to re-create the State of Afghanistan following 9/11 terrorist attacks in 2001, it has been a bumpy ride for the Afghan government and the people. More recently in July 2012 donors at the Tokyo Conference on Afghanistan pledged to give it $16bn (£10.3bn) in civilian aid over four years, in an attempt to safeguard its future after foreign forces leave in 2014. The biggest donors, the US, Japan, Germany and the UK, led the way at the Tokyo meeting in offering funds. Donors though have agreed to hold a follow-up conference in the UK in 2014. The indicators are not satisfactory. The Afghan economy still relies heavily on international development and military assistance. According to The World Bank, aid makes up more than 95 percent of Afghanistan’s GDP. Another chronic problem is the lack of trust between Pakistan and Afghanistan despite the nudging by international players such as UK and US. According to Washington Post, Taliban prisoners released by Pakistan to promote peace in Afghanistan rejoined those fighting Nato and Afghan troops. The Afghan government was supposed to receive the released prisoners and keep tabs on them to lower the risk of them returning to terrorists. While the US tries to find a reasonable and respectable way to get out of the mess, Afghanistan and Pakistan governments are doing their bit to bring at least a semblance of peace in the region, especially Afghanistan and its border areas with Pakistan. Pakistan President Asif Ali Zardari and Afghan President Hamid Karzai yet again showed their resolve to work towards a peace deal for Afghanistan within six months — a duration which is quite challenging for the two sides. Since it is not possible to delink the Afghan Taliban from their counterpart in Pakistan — the TTP — there were also unconfirmed reports that JUI-F leader, Maulana Fazlur Rehman held talks with the Afghan Taliban in Qatar on this issue. After the trilateral talks with UK Prime Minister David Cameron, they have committed to “take all necessary measures” to achieve the goal. The plan to open an Afghan office in Doha is one step to work towards a strategic partnership, which would ideally work to strengthen ties on economic and security issues, including trade and border management. The talks are the third round of discussions since Cameron led the trilateral process last year. The first two rounds of the trilateral talks were held in Kabul and New York last year. The two sides also “re-affirmed their commitments” to encourage closer ties as overcoming mistrust between Afghanistan and Pakistan remains a central issue. The continuing thread in the Afghanistan situation remains the same for the international community — the fear that Afghanistan may relapse into chaos after the US pullout. In less than two months, the Taliban have made two offers of peace talks to the government and want senior politicians, including Mian Nawaz Sharif, Maulana Fazlur Rahman and Syed Munawwar Hasan to become guarantors on behalf of the Pakistan Army. 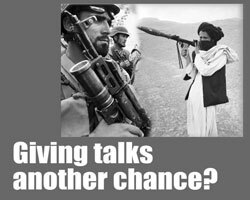 The Taliban are also skeptic, “Though the government seems non-serious in peace talks, we are willing to talk to it for the sake of Islam and the people. We have expressed our trust in three senior political leaders. If they agree to become guarantors on behalf of the Pakistan Army, we are ready to talk,” says Ehsanullah Ehsan, a spokesman for the outlawed Tehrik-e-Taliban Pakistan (TTP), while talking to The News on Sunday (TNS) from an undisclosed location. 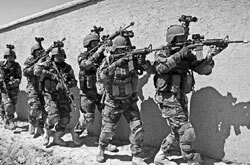 Some analysts are of the view that since Pakistani Taliban are aware of the ongoing peace talks between the United States and the Afghan Taliban, therefore, they want to resolve their issues with the Pakistan government before the withdrawal of US-led Nato forces from Afghanistan. Earlier, the TTP leader Hakimullah Mehsud issued a video in December and made a similar offer of talks to the government but refused to lay down arms till the implementation of Shariah in the country. Also, Hakimullah Mehsud had stated that the government would have to quit its alliance with the US, come out of its war in Afghanistan, rewrite the country’s constitution according to the Shariah in place of what he called the ‘present secular system’ and also apologise for the war launched against them (TTP). The Taliban believe the Pakistan Army has all the power and they would like to hold talks with military authorities in future in case the three politicians showed their willingness to become guarantors. Before the talks, the Taliban want the government to release their five senior commanders, including former spokesman for the Malakand Taliban Haji Muslim Khan, Mahmood Khan, a close aide of Swat Taliban leader Maulana Fazlullah, and former TTP spokesman Maulvi Omar and that they would be representatives on behalf of the Pakistani Taliban for negotiations with the government. Prior to the arrest of the above-mentioned three militant commanders, the government had placed Rs10 million as head money on each of them. Senior ANP leader, Senator Afrasiab Khattak, says they have lost more than 750 party activists, some of them parliamentarians, in terrorist attacks during the past seven years, but even then they want to resolve the issue of terrorism through dialogue and that’s why they have convened the All Parties Conference (APC) in Islamabad. That’s why, he says, the ANP has involved all major political parties before holding talks with the militants to ensure that the militants do not take undue benefit of the peace accord and return after withdrawal of the security forces from certain areas, in case of an agreement.. Except Jamaat-i-Islami and Pakistan Tehrik-e-Insaf (PTI), Afrasiab says all political parties participated in the APC and supported their proposal of holding talks with the militants. 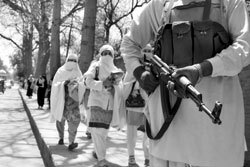 About the timing of the talks as the government is about to complete its five-year term, Afrasiab argues the Pakhtuns, in fact, have borne the brunt of terrorism and since they voted ANP into power during the 2008 general election, therefore, they would utilise all the available means to restore peace in the region. He did not confirm reports that the ANP wanted to invite military officials to the APC, saying the military would have to take ownership of political decisions. Another active member of the party, Mian Iftikhar Hussain, who is KP Information Minister and ANP provincial spokesman, is also happy with Taliban’s offer for peace talks but suggests that the president, military authorities and heads of security agencies must be taken into confidence before any such accord with the militants. “They killed my only son and are desperately trying to eliminate me but even then I am in favour of peace talks with the militants so that they are not eliminated through the use of force. We are the followers of Khan Abdul Ghaffar Khan who preached non-violence during his life. Let us give them another chance if they are sincere in peace in the country,” Mina Iftikhar tells TNS. Hussain says it is a good opportunity that the Taliban have showed confidence in three political leaders of the country and want them to play their role in resolving militancy and terrorism. He says the ANP will not like to hold peace talks and sign peace accord with the militants until all other stakeholders, including political and military leadership stand behind them. “This is not the problem of the ANP only. Today they killed my son and tomorrow they would kill others who don’t want to accept their brand of Sharia,” the ANP leader says. He dismisses the view of some political opponents who believe the ANP wants to ink peace agreement before general elections so that they can conduct the election campaign in peace. Hussain says militants did not spare them during the 2008 election and the ANP will be the only party to hold the election campaign and organise public gatherings as it has the courage to stand against militants. He laments the fact that terrorism, which was earlier confined to the Federally Administered Tribal Areas (Fata), has now engulfed all parts of the country including Karachi. That is why all political forces would have to seriously work and find an amicable solution for a better Pakistan. “Our government is going to complete its tenure but it will make the job of the next government easy if we succeed in bringing peace in the country through a fruitful dialogue with the militants,” says Hussain. Responding to a recent statement by TTP spokesman, Ehsanullah Ehsan, that the Taliban would be open to talks with the government if Nawaz Sharif, Maulana Fazlur Rehman and Munawwar Hassan act as guarantors of the negotiation process, Nawaz has asked the government to take the offer seriously and begin a serious, meaningful and result-oriented dialogue without any further delay. In the same breath, however, he has declined the TTP’s offer to become a guarantor for the talks, saying “no one could probably act in that capacity given the government’s past record.” The PPP circles have described Nawaz’s support to the TTP’s talks offer as a political move to present himself as a man of peace, with the prime aim of appeasing the Taliban and staying in their good books as a like-minded well-wisher. Analysts say Nawaz’s stance on the Taliban’s offer could further isolate him from the military establishment which had recently revised its doctrine and recognised domestic militants, especially the Taliban as a greater threat than India. The January 4, 2013 meeting of the Corps Commanders, presided over by General Ashfaq Kayani, had already declared that accepting the TTP demands would amount to admitting defeat of the state against al-Qaeda-linked extremists. While Nawaz has asked the government to hold peace talks with the Pakistani Taliban, the Obama administration is reported to have warned Pakistan against signing any deal with the TTP, maintaining that the dialogue offer was actually motivated by the ameer of the Afghan Taliban Mullah Mohammad Omar, primarily to secure greater physical cooperation of Pakistani Taliban in Afghanistan where the fighting season — the annual Spring Offensive — is getting closer with the end of the winter spell. Revising its foreign policy and coming out of the ‘US slavery’ is one of the major preconditions of the TTP to hold talks with the Pakistani establishment. Nawaz’ support for the TTP’s talks offer is considered a shrewd move on the heels of the general elections when the Taliban have made public their abhorrence for three major secular liberal parties: the PPP, ANP and MQM, besides targeting their leadership. While the coalition governments of PPP, ANP and the MQM in Islamabad, Sindh and Khyber Pakhtunkhwa have taken a tough stand against the TTP-driven terrorism, the Sharif-led Punjab government has pursued a policy of appeasement and allowed the TTP-linked anti-US, anti-Shia and anti-India jehadi organisations to operate and move freely in the province. That the Sharif brothers have a soft corner for the Taliban is common knowledge. After the March 2010 TTP suicide attacks in Lahore, which targeted the provincial headquarters of the ISI and the Manawan police training centre, Shahbaz had appealed to the Taliban to “spare Punjab”, adding that the PML-N shared their anti-US stance. “General Musharraf planned a bloodbath of innocent Muslims at the behest of others only to prolong his rule, but we in the PML-N had opposed his policies and rejected dictation from abroad,” Shahbaz had said while addressing a gathering of the clerics at Jamia Naeemia in Lahore after these attacks. “If the Taliban are also fighting for the same cause, then they should not carry out acts of terrorism in Punjab,” he had pleaded. In fact, Nawaz Sharif’s political background testifies to his closeness with Islamist elements. During the election drive before the 1988 polls, which were held after Zia’s death, Nawaz’ main campaign slogan had been to fulfill the unfinished mission of “Shaheed Ziaul Haq”. As Nawaz lost the election and Benazir Bhutto came into power, he allegedly conspired against her government with the backing of his radical mentors in the establishment. Interestingly, after her government was dissolved prematurely in 1990, Bhutto accused Osama bin Laden, Nawaz Sharif and the military establishment of masterminding her ouster. In a January 11, 2001 interview with Monthly Herald, she again accused Osama of financing an operation to topple her government in cooperation with Nawaz Sharif and the intelligence agencies. 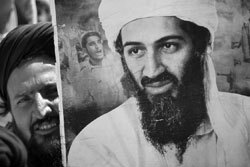 “Osama paid $10 million to overthrow my government after being told that a woman in the prime minister’s position in an Islamic country was against Islam. Nawaz Sharif told bin Laden he would bring Islam to Pakistan,” Bhutto said. Benazir Bhutto’s claim was confirmed five years later by the Jamaat-e-Islami’s Qazi Hussain Ahmed. In a March 18, 2006 interview with Daily Jang, Qazi conceded that Osama had visited Mansoora and expressed his willingness to buy parliamentarians’ loyalties to ensure Nawaz Sharif’s election as prime minister. “Osama said that if there was a way to buy votes [to topple Bhutto’s government and to bring Nawaz into power], he was willing to pay for them. Osama was a big supporter of the Islami Jamhoori Ittehad and Nawaz Sharif, who was the IJI president at that time,” Qazi added in his interview. 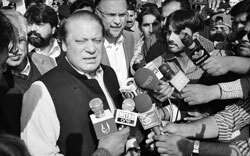 A couple of days later, a former ISI official, Khalid Khwaja, who was killed in Waziristan in April 2010, told Asia Times Online in a March 21, 2006 interview that Nawaz Sharif had met bin Laden in Saudi Arabia three times in his presence and received funds to topple the first Bhutto government. After becoming the prime minister following the 1990 elections, [which the ISI rigged by distributing money among the IJI leaders), Nawaz initiated an Islamisation drive by introducing 15th constitutional amendment bill which was meant to impose the Shariah Law as the supreme law of land. The bill to Islamise the Pakistani society was moved in the National Assembly in August 1998 on the ten-year commemorations of General Zia. Nawaz’ critics had described the bill as an attempt to become the Ameerul Momineen. Even though the bill was passed by the Sharif-led National Assembly on October 10, 1998 by 151 votes to 16, it was rejected by the Senate where the Bhutto-led PPP was in a majority. And it is no coincidence that the primary precondition of the TTP to hold talks with the government is the implementation of the ‘Talibani version’ of Shariah Law in Pakistan. In all likelihood, the latter situation may have spurred the need to talk peace. If this mere offer could divide the people and break the consensus against terrorism, the TTP’s job is done. The timing of the olive branch could not be more opportune for the political stakeholders whose eyes are set on the impending general election and how it could be held in peace. This is a major concern for a political party like the ANP which is the worst hit and would rather explore this option at this point. PML-N is the other major political party that has been named as a possible guarantor by the TTP. While ANP’s concerns are well-understood, the PML-N is being hugely criticised for its stance of appeasement. This is believed to be a major hindrance in evolving a national consensus against terrorism. That Mian Nawaz Sharif refused to condemn and castigate the mindless violence while accepting the need for talks as well as PML-N’s own history were no help either. The point is that in any civil-war like situation talks, if meant in earnest, show a way forward. But, in our case, there is an utter lack of trust and a clear sense that the militants intend to use another peace agreement to their advantage. To begin with, they have sought the release of some of their men without offering anything in return. The offers of talks have always been preceded and followed by terrorist attacks. This is not how talks materialise. No wonder, they have been met with a sense of suspicion and cynicism. Unlike the political parties, most commentators have demolished the idea of talks with the TTP. Some of them appear to have argued their case on emotional grounds like “talking to the terrorists amounts to selling the blood of thousands of men, women and children” but they are probably right. Pakistan is not under foreign occupation and the Taliban must accept the writ of the state before they sit on the negotiating table.